GANDERBAL: District Development Commissioner Hashmat Ali Khan today reviewed the arrangements for Shri Amarnath ji Yatra - 2019, scheduled to commence from July 01, 2019. Chairing a meeting of concerned officers, the DDC was given a detailed briefing by various departments about the arrangements being made for the Yatra. 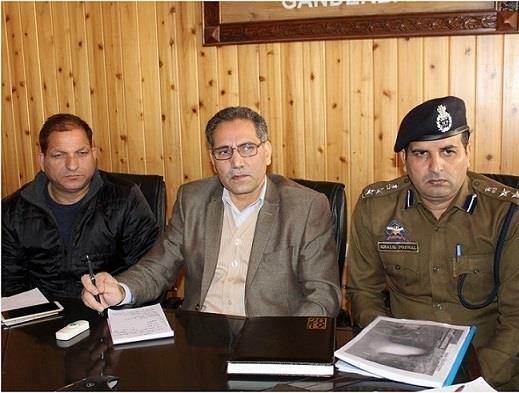 The DDC took appraisal from SSP, Khalil Poswal regarding the security arrangements and stressed for taking utmost care for ensuring foolproof security arrangements.